Sporting Event Limo Services, Arrive on Time, and in Style. 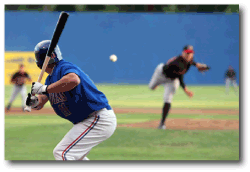 There are many reasons to take a sporting event limo to the next big football, baseball or hockey game. Of course having someone else be in charge of driving when people are drinking and having a good time at the sports competitions is probably the biggest reasons why people book a limo for these types of occasions. However, there are other reasons. In the summer months, when it is very hot outside and a group of friends want to go to a baseball game, it would be a wonderful idea to ride in air conditioned style to the game. In addition to being cool on the ride to the game, it is nice not to have to worry about where to park once arriving at the game. Being dropped off at the front door or the door near where your party's tickets are located is a great plus for having friends pool their money for a limo ride. At a hockey game or basketball game, it would be nice to remain in a heated limo as long as possible before having to get out and enter the arena. And with a chauffeur driven limousine, everyone will stay warm until they arrive at the front door to Air Canada Center where the game is being played. No walking through a crowded, cold parking lot and no having to stand in a long line to get in the front door. It's first class service all the way and it is very economical if everyone in the party puts in a little. A sports limo would be a great gift for Father's Day, Christmas or a birthday present for a man who really enjoys sports or a woman who also enjoys a sports team. An entire family would also like to ride in style to a sporting event and not have to worry about gas, traffic or parking. Arranging the limo to pick up the person and their guests at one location and take them to a bar and grill for dinner before a game would add to the fun. Riding around town in a limo that has several televisions would allow the sports party to watch all the pregame shows and find out everything they would have missed had they been sitting in traffic, waiting to get into the arena or find a parking space. If a couple enjoys a sports team, a limo to a sporting event and tickets to the game would also make a great wedding gift the couple could use when they return from their honeymoon or in the upcoming season. Not having to worry about finding a parking spot and driving, plus a romantic evening out would be welcomed by a couple after the hectic stress of preparing and executing a wedding.